You know by now that I am enchanted by the wash of colors displayed on swallowtail wings. 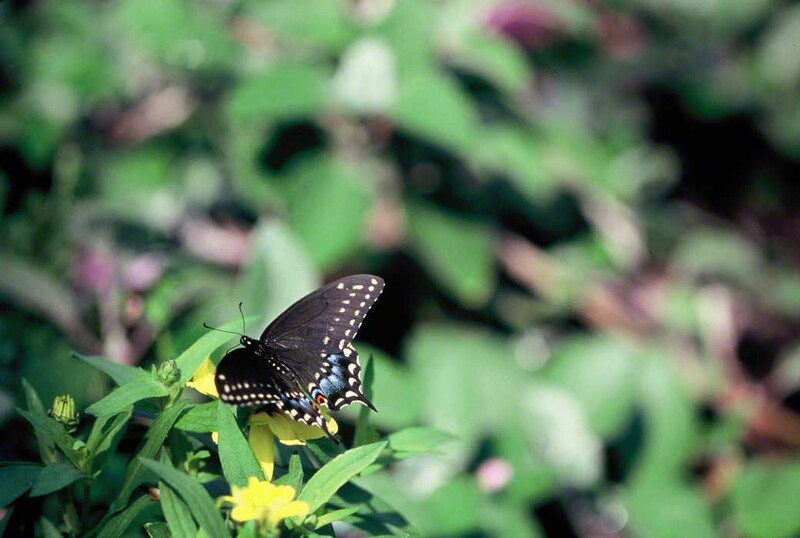 This Eastern Black Swallowtail Butterfly (EBSB) was such a treat to see. Papilio polyxenex are not the largest of our northeastern swallowtails, but they certainly, as she reveals, among our most strikingly beautiful. Gracefully flying from zinnia flower to the next, I wanted to capture that colorful palette. These zinnias are planted in large flower beds in May. There is little insect activity at their flowers until some time in June. Then, suddenly they begin producing nectar generously, and butterlifes flock to them. Through late September they continue to pump out nutrient -rich nectar. Impressive. Very impressive. Where are they now? They overwinter as pupae, hidden amongst the leaf litter. Continue enjoying these butterflies when you go to our other EBSB posts.